ALL-NEW FORD POLICE INTERCEPTOR PURPOSE-BUILT TO LEAD MARKET, SUPPORT THOSE WHO SERVE, PROTECT* Ford reveals its all-new, purpose-built Police Interceptor, engineered to exceed durability, safety and performance of today's leading police car – the Ford Crown Victoria Police Interceptor* New Ford Police Interceptor sedan will offer two fuel-efficient powertrain options – including EcoBoost with all wheel-drive – along with an array of safety technologies; interior has been designed to meet unique law enforcement needs* Ford's new Police Interceptor will be offered without interruption when production of the Ford Crown Victoria ends in late 2011* Ford confirms production of an additional Police Interceptor, a utility vehicle that will be pursuit-rated to complement the sedan; vehicle to be revealed later this yearLas Vegas, March 12, 2010 – Ford reveals its all-new, purpose-built Police Interceptor sedan today, showcasing a car for law enforcement officials that will exceed the durability, safety, performance and fuel economy of the industry's leading police car – the Ford Crown Victoria – while also confirming production of a Police Interceptor utility vehicle. 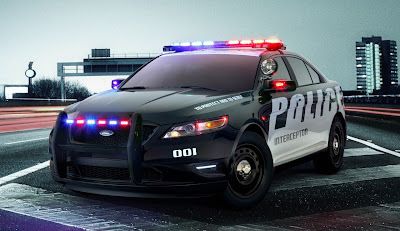 Ford, the police vehicle market leader for 15 years, specifically designed and engineered an all-new Police Interceptor to handle the rigors of police work, including industry-leading powertrain, safety and technology innovations.Ford will also add a second Police Interceptor to the lineup, a utility vehicle to provide customers a choice of the best vehicle to suit their needs. More details will be released in the third quarter of this year. "Police nationwide asked for a new kind of weapon in the battle for public safety, and Ford is answering the call with a purpose-built vehicle – engineered and built in America – that's as dynamic as it is durable," said Mark Fields, Ford president of The Americas. To develop the all-new Police Interceptor, Ford engineers worked hand-in-hand with Ford's Police Advisory Board of law enforcement professionals, which provided input on key vehicle attributes such as safety, performance, durability, driver comfort and functionality. "Their feedback mattered to us," said Scott Tobin, Ford vehicle line director for cars and crossovers. 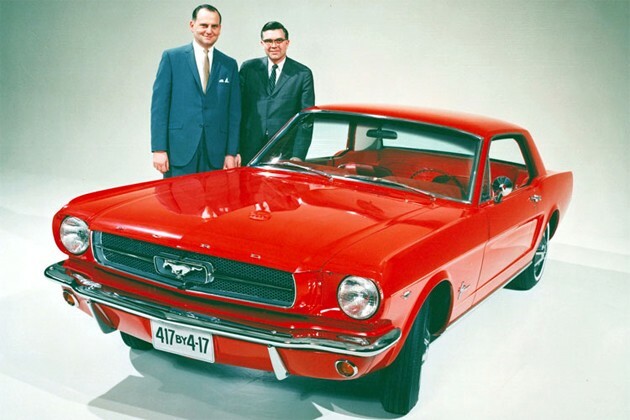 "Safety and durability were at the top of their list. So safety and durability were at the top of ours. "A focus on safetyContinuing Ford's safety leadership includes engineering the Police Interceptor to pass 75-mph rear-end crash testing. Currently, the Crown Victoria Police Interceptor is the only pursuit sedan to meet this test. The new Police Interceptor also features Ford's exclusive Safety Canopy® side-curtain air bag rollover protection system to help protect front and rear outboard passengers in both rollover and side-impact crashes. The multiple side-curtain air bags use Ford's unique Roll Fold technology to help them slip between the occupant and the side window.Increased power, enhanced sophisticationFord's Police Interceptor engine strategy will provide a V-6 lineup that performs equal to or better than V-8 engines. The lineup comes with two powertrain options, allowing police to choose the powerhouse that best meets their patrol requirements. A highly efficient 3.5-liter V-6 engine delivering at least 263 horsepower and E85 compatibility is 25 percent more efficient than the 4.6-liter Single Overhead Cam (SOHC) V-8 offered in the current Crown Victoria Police Interceptor.Plus, an all-new 3.5-liter EcoBoost™ V-6 twin-turbocharged, direct-injection engine will deliver at least 365 horsepower and 350 ft.-lb. of torque across a broad rpm range. "We have an extremely powerful standard engine, and to top that off, we also offer our exclusive EcoBoost technology," said Tobin. "Both are designed for the severe-duty cycle that police engage in on a daily basis. "EcoBoost brings municipalities and police fleet administrators the first ultra high-performance, yet environmentally friendly, police pursuit vehicle. Offering performance that bests normally aspirated V-8 powered police cruisers and comparable fuel economy and CO2 emissions to the standard V-6, EcoBoost represents a triple-win for police departments, the tax-paying constituents they serve and the environment they help collectively to preserve.A high-capacity six-speed SelectShift Automatic™ transmission delivers the power of EcoBoost to the road via the sophisticated torque-sensing all-wheel-drive system. "Ford remains committed to leading the police vehicle market, and our new Police Interceptor demonstrates how much engineering and innovation we're willing to invest to address the unique needs of those who protect and serve communities throughout America," Fields said.Rigidly tested, police-tunedThroughout its development, Ford's new Police Interceptor has been put through the paces, undergoing a battery of torture tests to ensure its individual components can hold up to the rigorous driving styles of police professionals.Certification testing designed by the Michigan State Police and the Los Angeles County Sheriff's Department evaluates the durability and capability of the vehicle through a variety of tests where the car's systems are pushed to the limits for nearly an hour and a half – far exceeding the demands most patrol cars ever experience. To meet the rigors of the durability testing, the brakes have been increased in size and performance. The cooling package is purpose-built as well, featuring a heavy-duty alternator and larger radiator. Its honeycomb grille is designed to work in harmony with the interior components, offering more air flow throughout the vehicle. Plus, the standard 18-inch steel wheels are vented, designed to work in concert with the enhanced brake system. "This vehicle is pursuit-ready," said Carl Widmann, vehicle engineering manager. "It's no nonsense, through and through. "Functional, inside and outSpecial features continue inside, too. "Working with our police partners, we've considered every detail," said Ken Czubay, Ford vice president of Marketing, Sales and Service. "Approximately 90 percent of the interior has been redesigned to meet the needs of our special police customers. "Front seats have been specially designed, with a lower bolster removed to better accommodate officers' utility belts. Inserted into the seatback are anti-stab plates, designed to protect front-seat occupants.The Police Interceptor second row also has been optimized to address police-specific needs.The vinyl seats are specially sculpted and set back to improve second-row space and maximize legroom. The back door hinges are modified to open up another 10 degrees versus traditional rear doors. The Ford Police Interceptor also is equipped with a column shift specifically designed so the console area is free for the ever-increasing amounts of aftermarket police equipment necessary for officers to do their jobs.The new vehicle also features:* BLIS® (Blind Spot Information System): The system uses two radar sensors located in the rear quarter panels to detect vehicles in the surrounding lanes. If a vehicle enters the driver's blind-spot zones, the system alerts the driver with a warning light in the side-view mirror. * Cross Traffic Alert: This system uses the existing BLIS radar modules to sense oncoming traffic when slowly backing out of a parking spot. This industry-exclusive system functions only while the vehicle is in reverse and warns when cross-traffic appears within three car-widths. * Rear View Camera System: When the vehicle is in rear camera mode, a color image with guidance markers on the rear view mirror will assist the driver in backing up. * Reverse Sensing System: An audible tone will alert the driver to certain objects up to 6 feet behind the vehicle. * Standard AdvanceTrac® ESC (electronic stability control): This helps maintain the intended path by measuring side-to-side yaw, or skidding, by the vehicle's speed, throttle position and steering wheel angle. When wheel slip is sensed, AdvanceTrac reduces engine torque and applies selected brakes. * Ford SYNC®: The Ford-exclusive, hands-free information system has the potential to be customized and remapped to work specifically with police aftermarket equipment such as lights and sirens, allowing officers to focus on the task at hand.Ford's new Police Interceptor sedan will be manufactured at Ford's Chicago (Ill.) Assembly Plant and will be offered without interruption when production of the Crown Victoria Police Interceptor ends in late 2011.